Secret Identities is one of the few comic anthologies I enjoy tremendously. 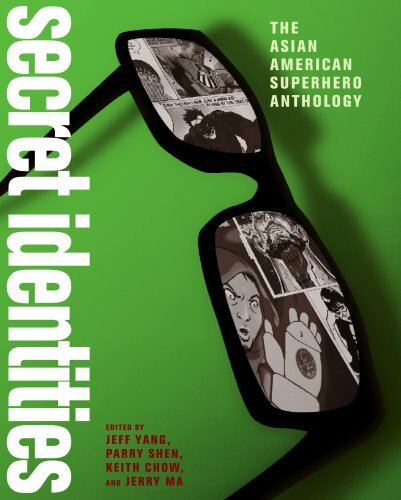 There are 48 chapters, all drawn by Asian Americans — of course — but a few are 1-page superhero profiles and stories. So really, there are only 40 longer stories. For most of the 1-page stories, it's an artist talking about the concept of superheroes, Asian Americans and the influence of Asia on western comics. The longer stories are really fun, bizarre and creative. 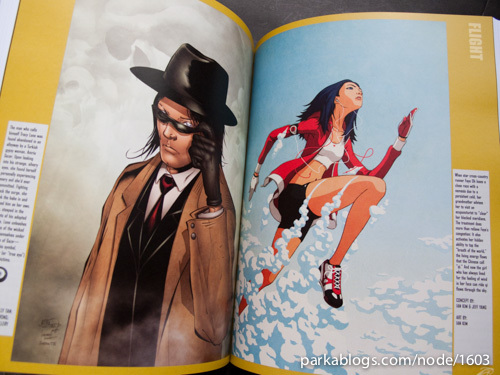 The book starts off with a comic book cover art of "The Y-Men", featuring super lame superheroes with quotes like "Feel the suicidal wrath of KamiKazei", "Sweaty Feet of Coolie are express ticket to hell", "The myopic blasts of Four Eyes" and "Special delivery from Riceman pork-fried pain". This pretty much sets the satiric tone for the book, although there are more serious stories as well. 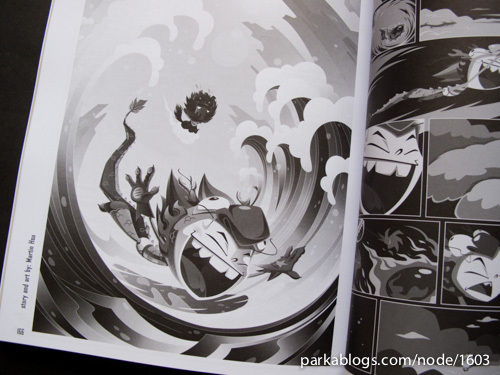 My favourite story is "James", written by Michael Kang and drawn by Erwin Haya. James's power is super-agility and super-strength. His partner has the ability to emit light, like a light bulb. Somehow amazingly, James began to lose the limelight (pun intended) to his partner and his career crashed. In the end, he had to start over going to like N.O.A.S.S* and A.S.S.H.O* networking events. *Which translate to National Organization of Supers and Sidekicks, and Asian Student Super Hero Organization. My second favourite "A day at Customeco". This family is shopping at a groceries supermarket dedicated to superhero shoppers and suddenly a how-dumb-can-you-get villain strikes! Now imagine every superhero rushing in for the kill. The story concept and creativity are really commendable. The superheroes are shown in many different aspect of life, in different communities, going about their daily chores. It's mix and match everywhere, littered it with funny quotes. 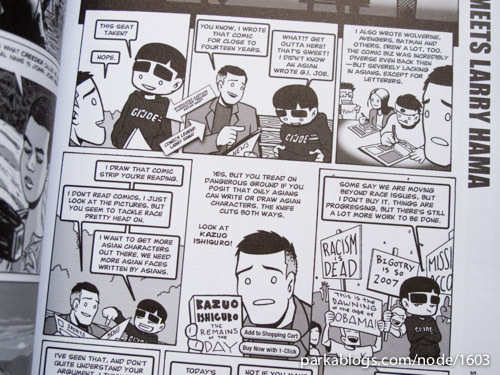 This book is highly amusing and should appeal to more than just Asian Americans. More information on the book can be found at www.secretidentities.org and secretidentitiesbook.blogspot.com. awesome review! and im glad ya dig the anthology. "james" was definitely awesome to illustrate.